Nancy Guthrie When someone we love is grieving, we want to be there. But it’s easy to feel paralyzed, worried that we might say or do the wrong thing. Nancy Guthrie has personal experience dealing with pain and knows what words of encouragement are helpful and what words are harmful. Drawing from her own life experiences—including the loss of two young children—Guthrie has written this helpful resource for Christians who want to be better friends to those who are suffering. Practical and down-to-earth, this book includes examples and helpful tips from real grieving people who have been helped (and hurt) by friends who meant well, equipping readers to come alongside and comfort loved ones who are hurting. 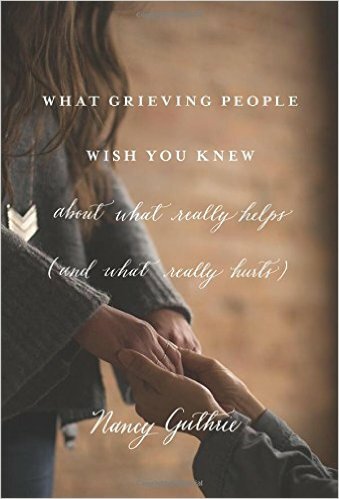 This book is a must for anyone who works with people in grief.